You forget how exciting it is to gallop around a cross country course after a long season off! I have to say that for once we haven’t had a winter of slogging from one indoor to another, standing around in the freezing cold waiting to jump a class of BS and then waiting hours to jump another horse! 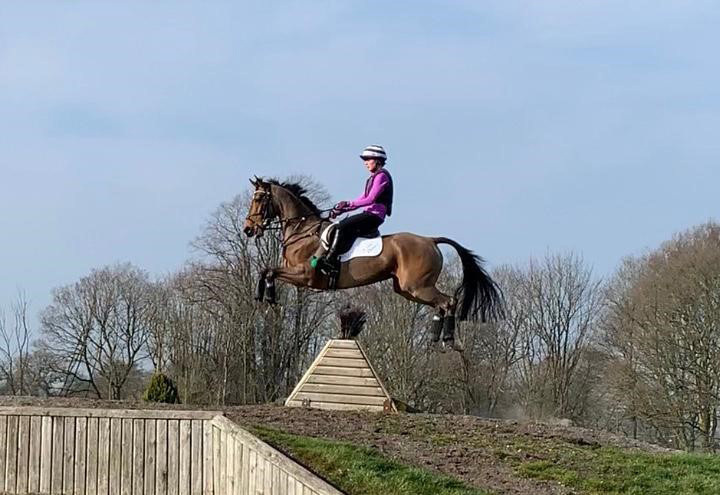 The crazy British weather this winter meant we could do most of the jump schooling at home in the outdoor, go XC schooling on grass in December and January and make the most of our amazing hills we have around the yard to get the horses fit! They have also for the first time had winter turn out! All of this has made for happy horses and a bit of an easier life for their humans! I have, however, been doing quite a lot of dressage; the highlight being a 4th place in the British Dressage Medium Gold Regional Championships on Candy (luckily no re-run of the Blenheim dressage disaster)! Stan has also had a few days hunting with the Bloodhounds to try and slim him down a bit as he has wintered very well! Now to the exciting bit….Eventing!! I decided to not enter too early just in case the weather turned and right on cue it sure did. Luckily we haven’t been too affected yet and my plan of waiting till yesterday to go out might have paid off! Great Witchingham is a long drive for us (5 hours) and some people might think we were mad to travel that far for the first run of the year, but I knew the ground would be good and the course is lovely. Candy didn’t let me down, we did a solid test and a lovely steady double clear to finish 6th in the International section CCI**(S); she is feeling and looking amazing and fingers crossed the rest of the season will go as well. The other horses will be starting in the next few weeks, so I will keep you posted on how they get on! 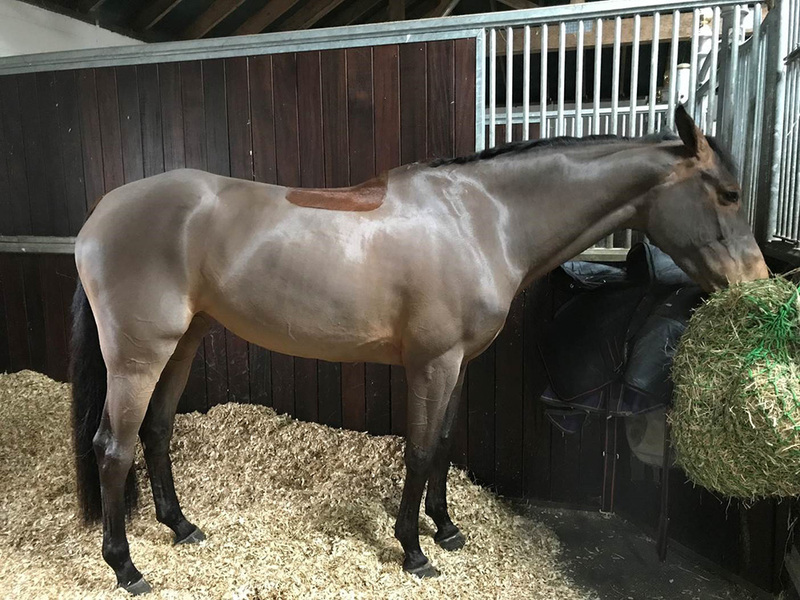 2018 was a mixed year for Tanya Buckingham with some good results, but also a tragedy when she lost her horse Skip whilst training at home. Find our what her goals are for 2019.